It's day 4 of the PolishedByLeanne polishes, the last day :( but I saved my favourite of the 4 polishes for last. 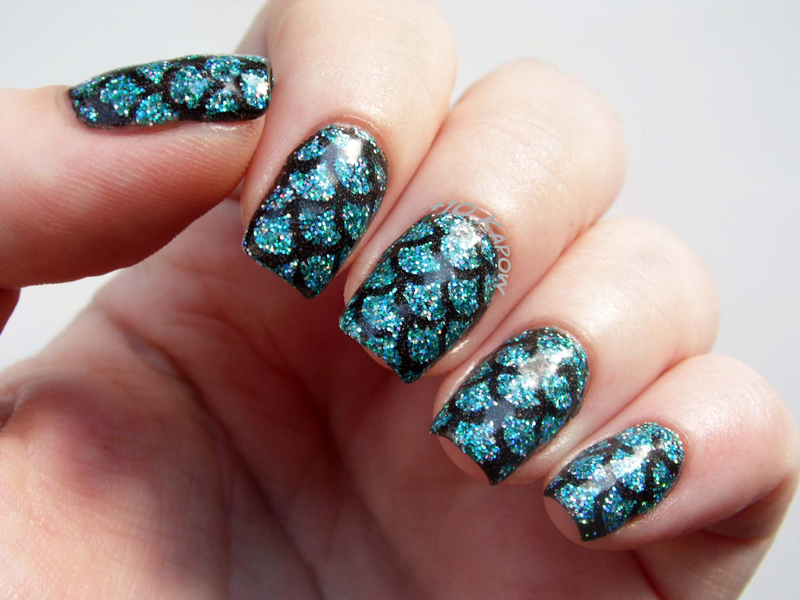 'Under the Sea' is a blue and green glitter polish in a clear base. 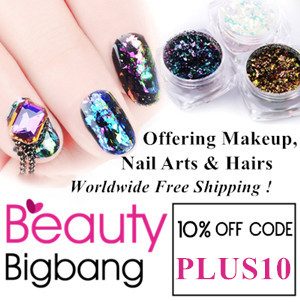 The glitters are all the same size and are all small hex glitters and they have an awesome holographic colour shift loads of different colours. I topped each nail with one coat of Seche, the more glitter you have on the nail, the more topcoat thirsty the glitters become. If using it sparsely, à la my index finger, it dries pretty much smooth and flat. The polish dried pretty quickly, even on coat number 4. As you would expect for this type of glittery polish, clean up and removal was a nightmare, one of those times when you wish you had worn a peel off base coat. As if you couldn't see this coming, as soon as I put it on, Under the Sea immediately screamed MERMAIDS!! It had that awesome effect and looked very much like the pictures I have seen of the Black Milk Mermaid leggings, you know those ones that you long for desperately but have to admire from a distance, I have a cheap pair but no where near the same quality and they don't have the dotted pattern that I'm pretty sure the Black Milk leggings have. 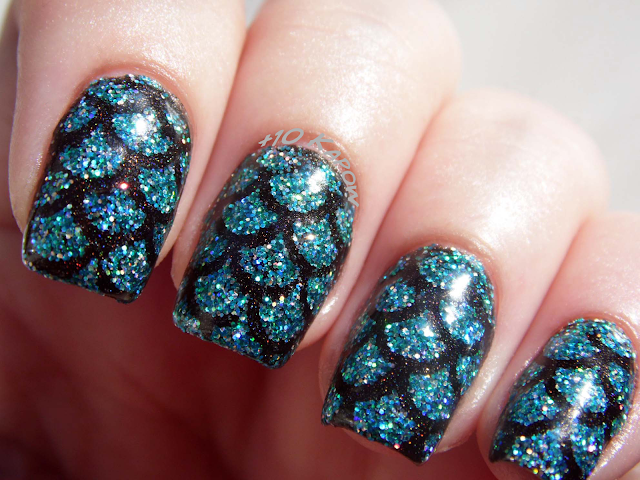 That is why I love this mani, the mermaid scales look dotty and so pretty in this close up. I used KBShimmer Stark raven Mad for the base and She Sells Seashells mermaid vinyls for this mani. 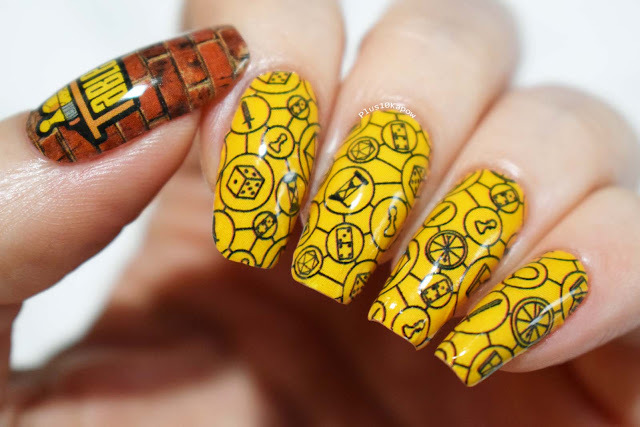 The only problem I encountered with this is that because Under the Sea is so topcoat thirsty, it did get a bit thick when I was trying to get it all smooth. One of the things I have forgotten to mention in all my other posts, is that PolishedByLeanne nail polishes are all 5 free and Vegan Friendly and of course, not tested on animals. I will be editing my previous posts to add that information. Under the Sea is available on the PolishedByLeanne Etsy store as part of a 4 bottle limited edition collection for £10. 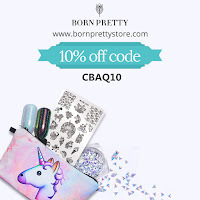 Be sure to check out the other polishes on her store, there are a couple more mermaid-y ones and a new glittery collection that was released today. 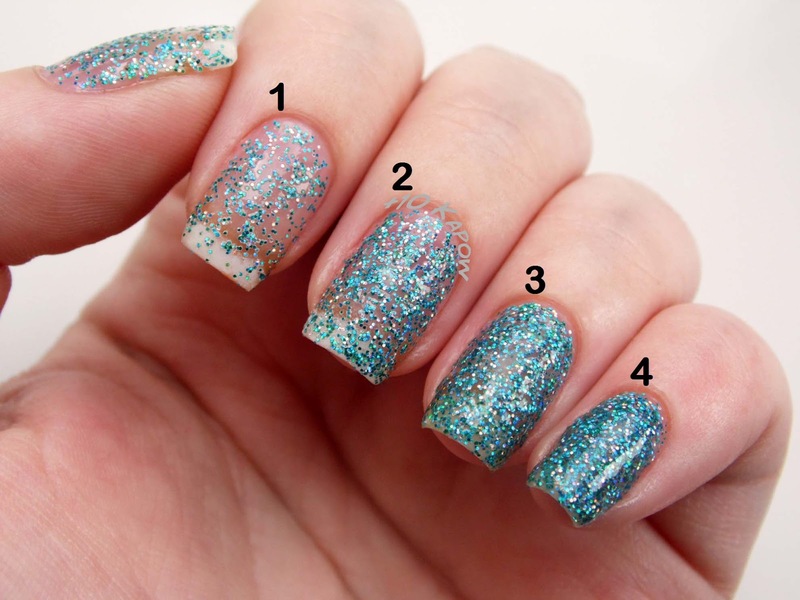 So which of the PolishedByLeanne polishes was your favourite Liquid Gold, Cherry Kisses, Shooting Star or Under The Sea? Hope you're all having an awesome weekend. I'm going to go and do mermaid-y things now. Under the sea was sent to me for swatching purposes. All opinions expressed are my own, honest opinion.